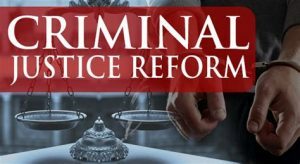 Criminal Justice reform needs to happen, and the First Step Act is just the “first step” to creating a system that is more consistent, economical, and more importantly, effective in dealing with the problem and its root cause. Law enforcement always makes the argument that they go after the dealers, but if you walk into a correction facility you notice that this argument is disingenuous at best, or blatantly dishonest at worst. I worked in corrections for almost 7 years and I can tell you that there is a ridiculous number of people that are locked up at any given time for possession of drugs. When we arrest someone for possession, we are punishing the addict, not the dealer. One must understand that the addict has developed a physiological dependence on a substance, and that addiction is not different from any other medical condition. Addiction is a combination of mental or psychological illness, and physiological effects that are evident from an objective, qualitative perspective. It is real to the person suffering from the symptoms, but it is also measureable on a clinical scientific level. Robinson v California 370 U.S. 660 (1962) illustrates some of what I am talking about here. In this case a California law criminalizing addiction to narcotics, was struck down by the US Supreme Court. The argument against the law was that it violated the 8th amendment, as it imposed punishment for having a disease. The opinion that was written by Justice Potter Stewart, acknowledges that addiction is a disease, and in turn believes that it is not constitutionally sound to hold someone criminally accountable for a medical condition. Justice Stewart backed up his argument by stating that “one day in prison for the crime of having a common cold, would be cruel and unusual”. Here he was recognizing that criminalization of a behavior without a guilty act or actus reus was in itself unconstitutional, and that a condition or status cannot satisfy the actus reus requirement. Given the outcome of this case, I think that the argument could be made, that an individual that possess an illegal substance because they suffer from an addiction, would be on track to make the same constitutional argument. Drug addiction needs treatment, not punishment, and our correctional facilities have a revolving door when it comes to housing these addicts, and the recurring visits to jail are perpetuated by our current system. If you are going to go after the dealers and the traffickers that is ok but don’t target the users along with the dealers and try to act like your focus is on dealing rather than possession. President Trump and his intent in supporting this legislation, is being mischaracterized, as is the legislation itself. 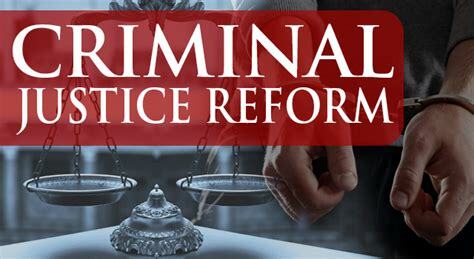 One of the main purposes of this reform is to restore the rights of individuals that have served their time. In other words, if someone is sentenced to 10 years, and they serve 10 years, that should not mean that they should have their rights revoked for life. This country was founded on Judeo-Christian values and principles, and one could argue that a central theme of the Bible is forgiveness. How are we recognizing this divine principle if we do not recognize one’s inherent right to have a second chance and to correct wrongs of the past? Another part of the coming reform is reducing sentences of what critics are calling drug traffickers. First of all let me say that I have seen all of the ways that law enforcement groups anyone selling drugs into the trafficker category. Critics of reform would have you believe that every person that sells drugs is operating on the level of MS-13, and that is just not true. And let’s cut out the talk of executing drug dealers, and pushing the narrative that they murder people. The fact here is that in order to have someone sell an illegal drug, you have to have a buyer on the other end of the transaction. Ultimately the decision to use that drug and the determination of how much and the route in which it will be consumed, belongs to the user, aka the buyer. An individual’s health and wellbeing is the responsibility of that individual and no one else, and when one administers a substance to their own person, then they are responsible for the consequences. If someone downs a whole bottle of Jack Daniels, then gets behind the wheel, and smashes into a telephone pole, who is responsible? Obviously the driver is at fault, but are you going to the liquor store accountable for the driver’s death? Are you going to call for the execution of the owner of the store that sold the individual the bottle of JD? Of course not, because the driver cracked open the bottle himself, and consumed the contents, hence the blame falls solely on the one that was behind the wheel. Our laws are not consistent as we treat substance abuse differently, based on the substance, not on the circumstances. Mandatory Sentencing needs a makeover because it takes away a courts discretion when it comes to sentencing, resulting in ridiculous sentences for dealing drugs. I’m not trying to say that dealing isn’t bad, but I think our priorities are twisted when you have instances where a person convicted of murder can be out in 10 years for good behavior, whereas you have cases like Barry Schultz, a Florida doctor convicted of running a pill mill, who was sentenced to 157 years for “drug trafficking”. In 2002, Weldon Angelos was selling marijuana while in possession of a firearm, and was given a mandatory sentence of 55 years in prison. Afterwards the sentencing judge said that he didn’t want to hand down such a harsh penalty, but the mandatory statute forced him to do so. 55 years for dealing cannabis? Am I the only one that sees an issue here? These are the things that Criminal Justice reform would seek to resolve. One other thing that must be understood, is that there must be an emphasis put on the necessity for congress to weigh in here, due to the fact that the vast majority of our US Criminal Code statutes are written by government agencies, or more specifically, unelected bureaucrats. Many of the so called laws that define federal crime, and the penalties for perpetrating those crimes, are done through bureaucratic channels. We need Criminal Justice reform in America as we have the largest number of incarcerated individuals per capita, on the planet. Personally, I think that we focus too much on malum prohibitum, and that we do not focus on true evil in the world.